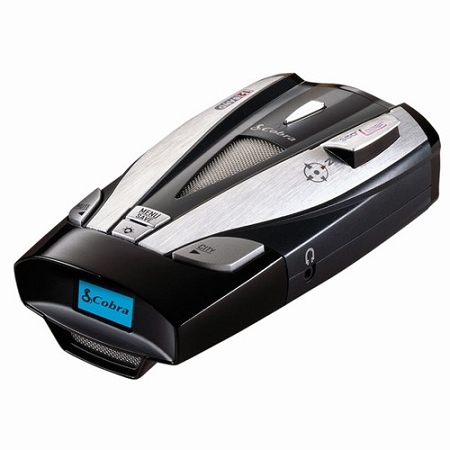 The Cobra XRS 9830 is a 12 bandÂ™ radar detector featuring Cobra's Xtreme Range SuperheterodyneÂ™ Technology. With this new technology, the Cobra XRS 9830 has even more range than past Cobra models. The Cobra XRS9830 model also provides voice alerts, includes a built-in 8 point digital compass and new DataGrafixÂ™ Display. The Cobra detector radar responds to all types of radar currently in use by police, and provides 360 degree detection of all types of laser guns laser. The XRS-9830 also provides detailed messages from Cobra's exclusive Safety AlertÂ® and Strobe Alert warning systems. This Cobra detector radar is immune to the VG-2 and Spectre I radar detector detectors, and provides alerts when VG-2 and Spectre I are in use. X X X X IntelliShieldÂ® False Signal Rejection Reduces the frequency of falsing in densely populated urban areas. The city mode has 3 levels of setting for enhanced false signal rejection. X X X X X X X Strobe AlertÂ® A Cobra exclusive, works with tens of thousands of emergency vehicles currently equipped with traffic light controlling strobe emitters. Provides advanced alert of the presence and/or approach of these vehicles. X X X X X X X X LaserEyeÂ® Provides 360 detection of laser signals. X X X X X X X X Safety AlertÂ® Warns driver of emergency vehicles and road hazards from systems equipped with Safety AlertÂ® transmitters. X X X X X X X X VG-2 AlertÂ® Alerts the user when they are under surveillance of VG-2 radar detector-detectors. X X X DigiViewÂ® Data Display Provides easily recognizable digital text display.